Back to the Kitchen grind for some of you! everyone always hates coming back with all the chores they have to do and still having to cook! very quick, easy and perfect for summer because it's light but filling. If you're still out and about be sure to bookmark this for when you come back. 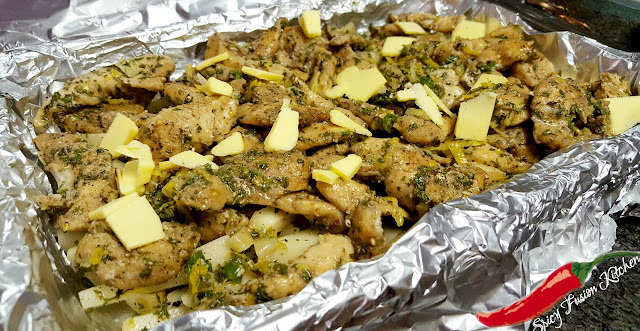 Firstly, cut your chicken fillet into strips. Next, season your chicken with salt and ground black pepper. With the oil (with the recipe it says 1/4 cup but I used a bit less) pan fry your chicken. When your chicken has browned a bit remove from the pan. Next, mix the next ingredients with your chicken; lemon zest, lemon juice, dry parsley, chopped garlic and chopped green chillies. Now time to prep your potatoes, peel and cut them into chips. Season with the spices listed above. Now take a pyrex (oven) dish line with foil. Layer the potatoes, followed by the chicken. Add some blobs of butter and cover the chicken with another piece of foil. Baked for 1 hour at 180 Degrees Celsius. 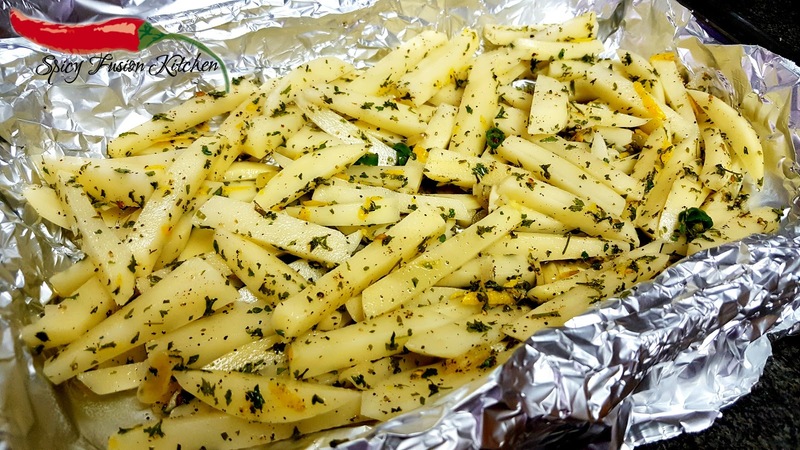 Serve with some fresh crisp salad, also don't worry if your chips will remain slightly firm once done but will be coated with a lemon butter sauce. you have made my website grow so much and I really owe it all to you. with all the love, blessings, health, success and much more! and check out my social media for more updates. Ma sha Allah! 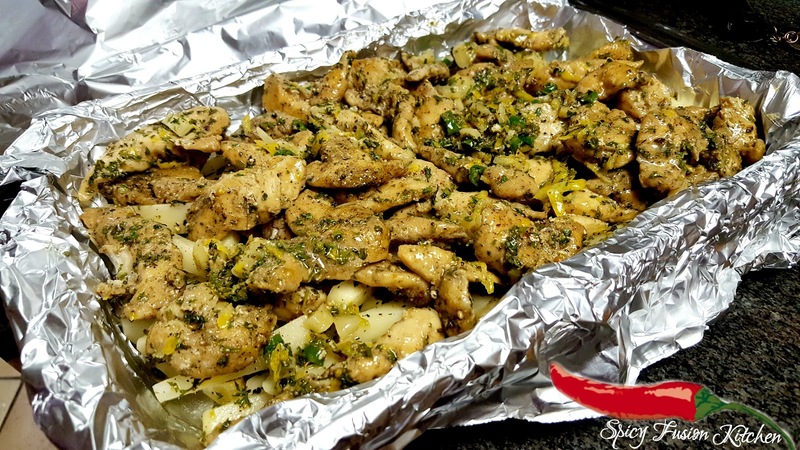 I love lemon pepper anything! Lo! Currently I have fallen in love for rainbow trout with lemon pepper seasoning...I must try this! THANK YOU! 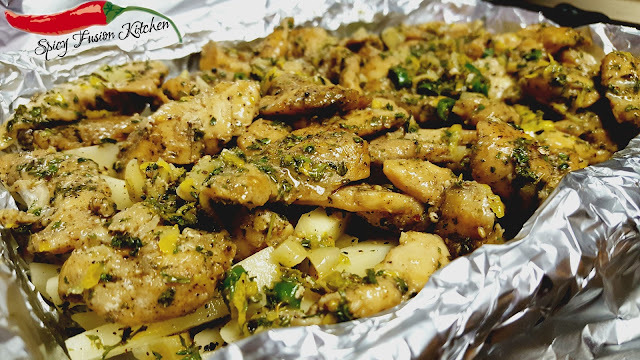 I have been looking for a good lemon chicken recipe for forever! Can't wait to try it out. YUM this is totally my kind of meal! I love how it's so simple yet full of flavor! It's so quick to prepare especially on those busy days! Ohhh yumm this looks delicious! It's so simple as well! Definitely my kind of recipe! It looks yummylicious n easy to cook. Gotta try this sometime, will save your blog link. This looks so mouth-watering! I'm always looking for recipes for baking chicken and potatoes. Can't wait to try this out inshallah.